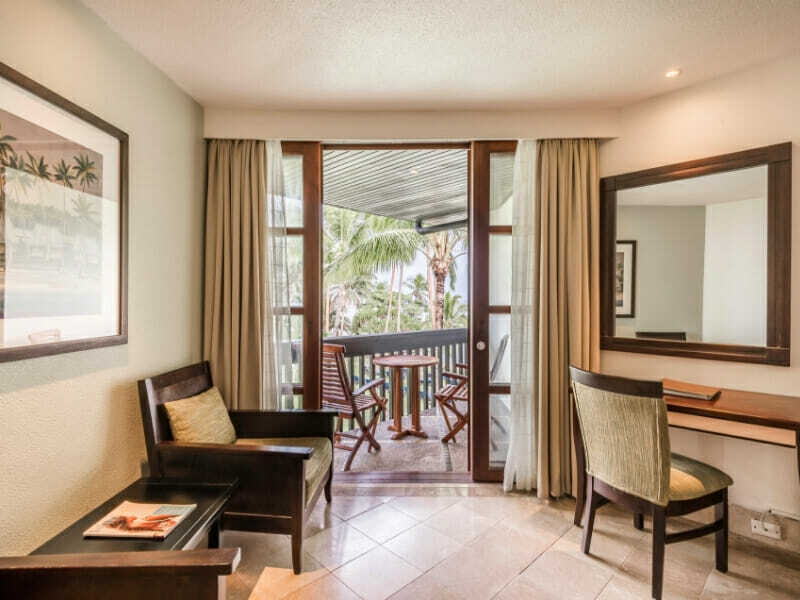 You can’t beat 6 nights of garden views and tropical ambiance! 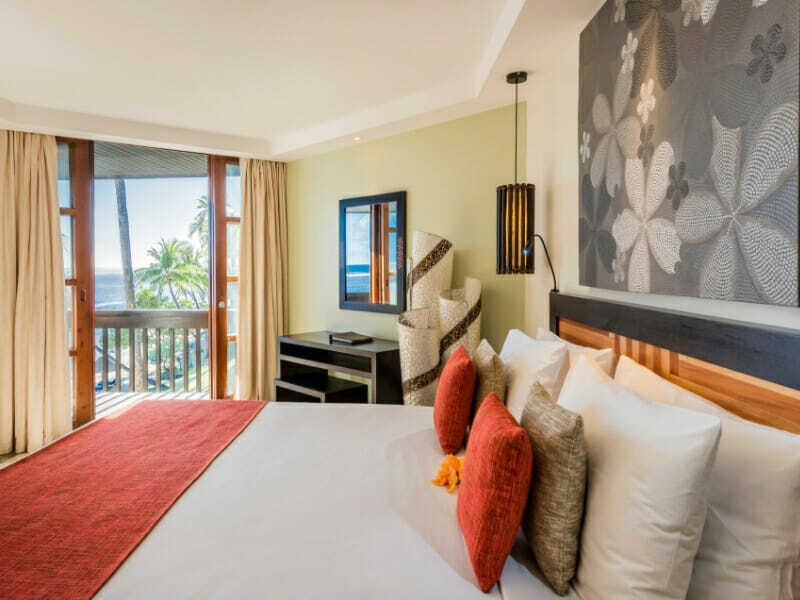 Slip into “Island Time” with ease with a drink on your private balcony, rest well in plush bedding and more! Take the family! 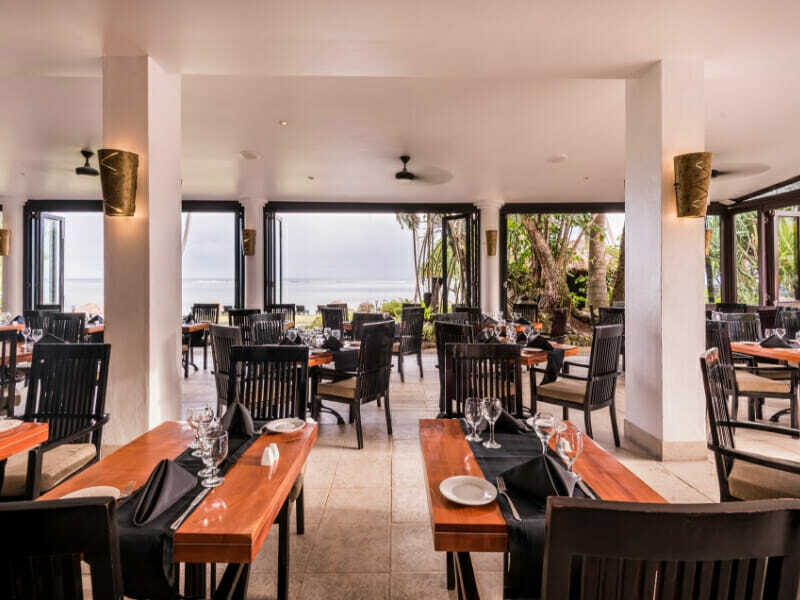 Two kids (2-12yrs) can stay for FREE in their parent’s room, access the Kids Club (3-12yrs) and enjoy meals at the Bula Brasserie for breakfast, lunch & dinner! 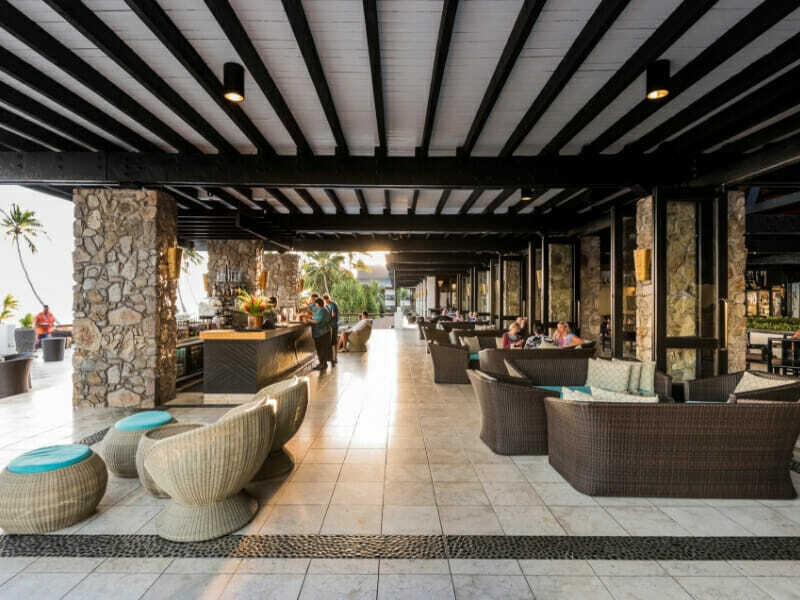 Start your day with a delicious buffet breakfast every morning of your stay, at the Warwick Fiji! Fuel yourself for each day of adventuring, exploring or even relaxing. Experience a true Fijian cultural experience by being blessed by the Bete (high preist) before being guided into Fiji’s largest cave. After your outdoor adventure, head back to the Bete’s house for a barbecue lunch with fruit & juices. 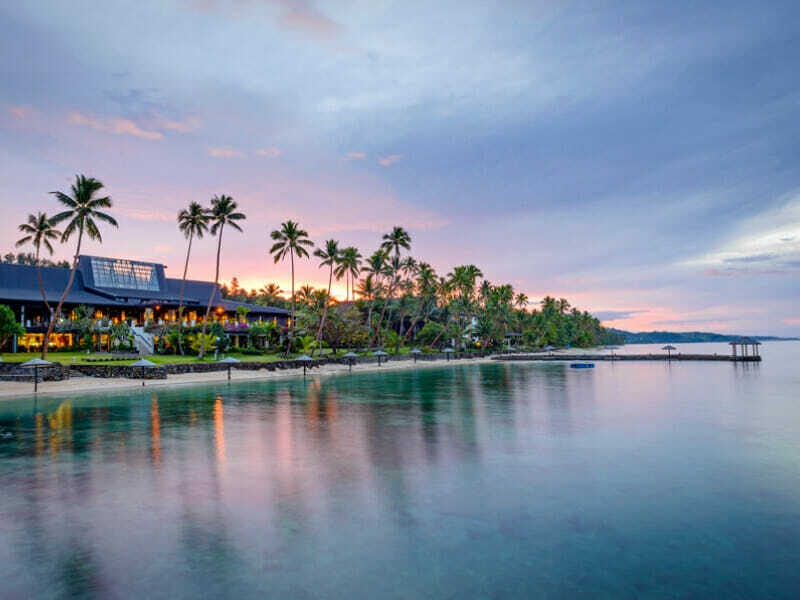 Explore Viti Levu’s longest river and discover the luscious region known as Fiji’s Salad Bowl! 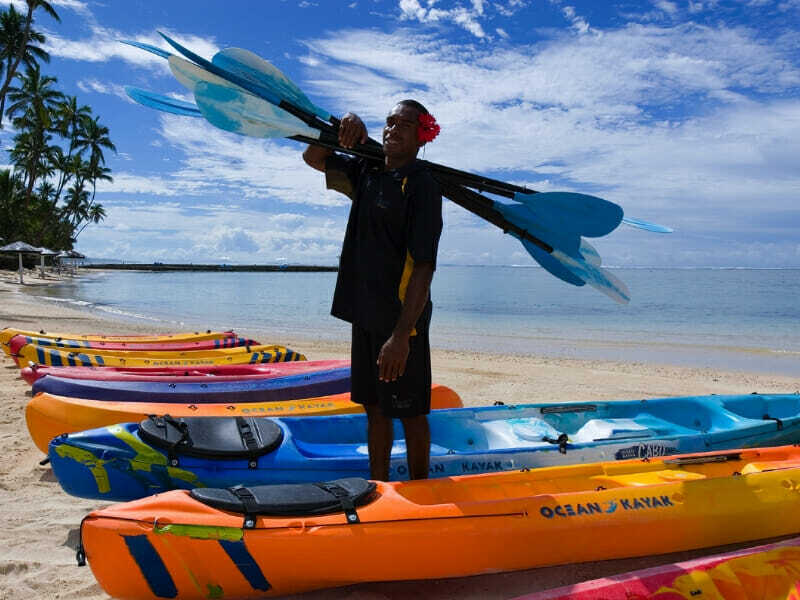 Jump aboard a jet boat, venture into a local village, meet the chief and enjoy a tantalising traditional Fijian lunch. 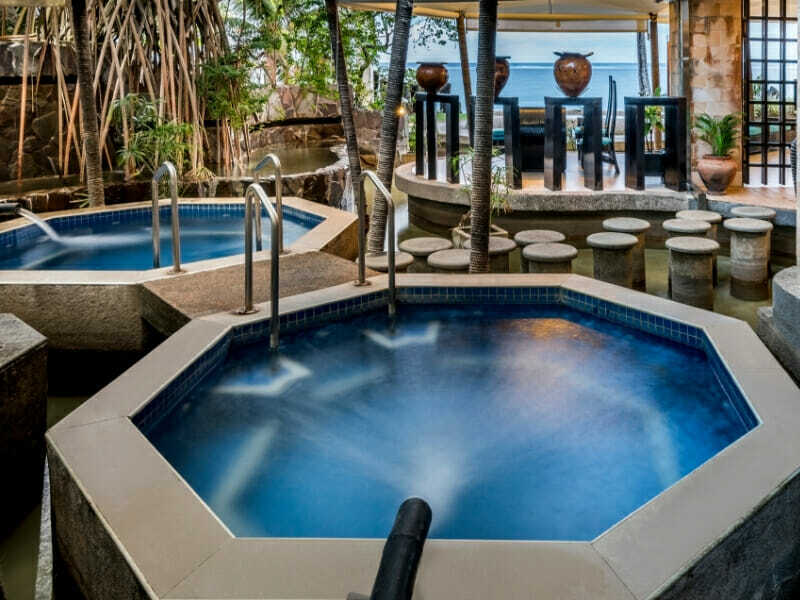 Transfers, ceremonies and sarongs included! 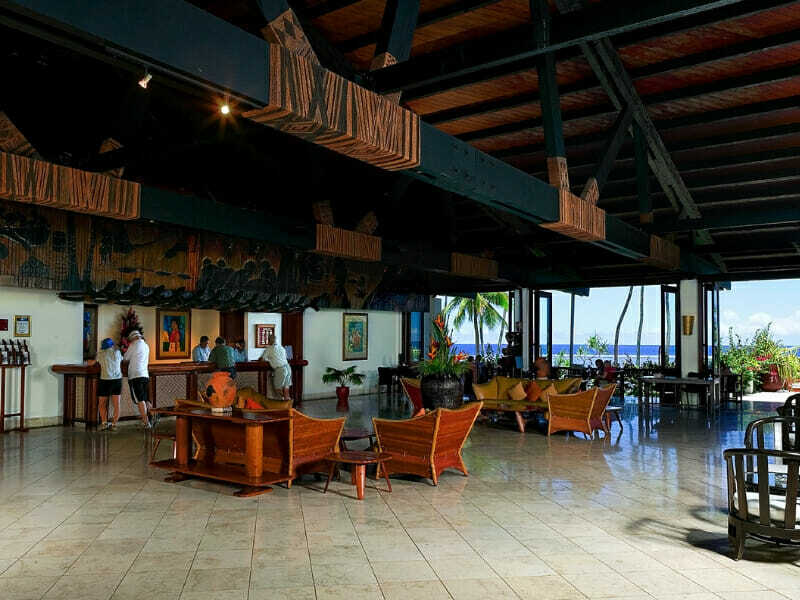 Located on the lower levels of the Nadi and Suva wings, 3 adults or 2 adults and 2 children can comfortably stay in the 26sq. metre Garden View Rooms. 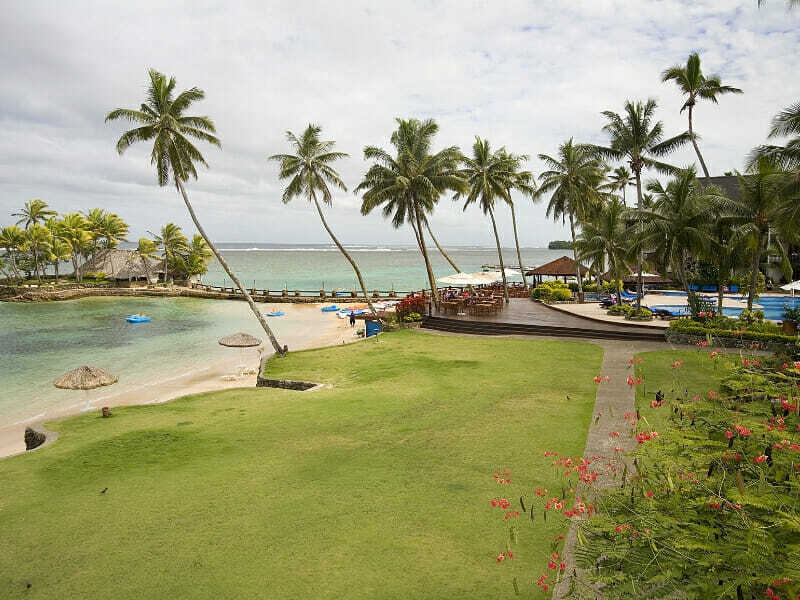 Picturesque gardens surround the rooms while the interiors reflect modern architecture with Fijian touches. Choose your bedding configuration according to your travelling party with a choice of 2 double beds or 1 queen bed and 1 single bed. 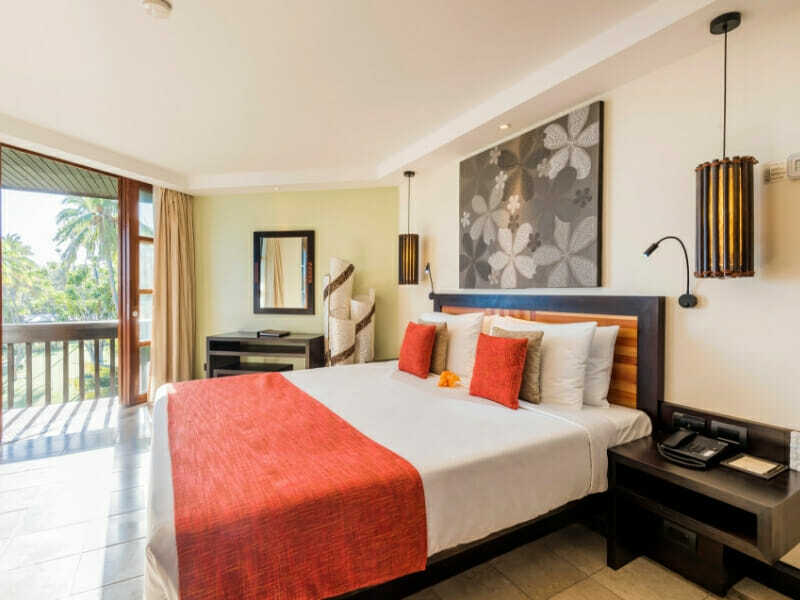 Keep cool in the air-conditioning, make a fresh cup of coffee with the tea/coffee facilities, keep your valuables secure in the in-room safe and relax on the private furnished balcony/patio. 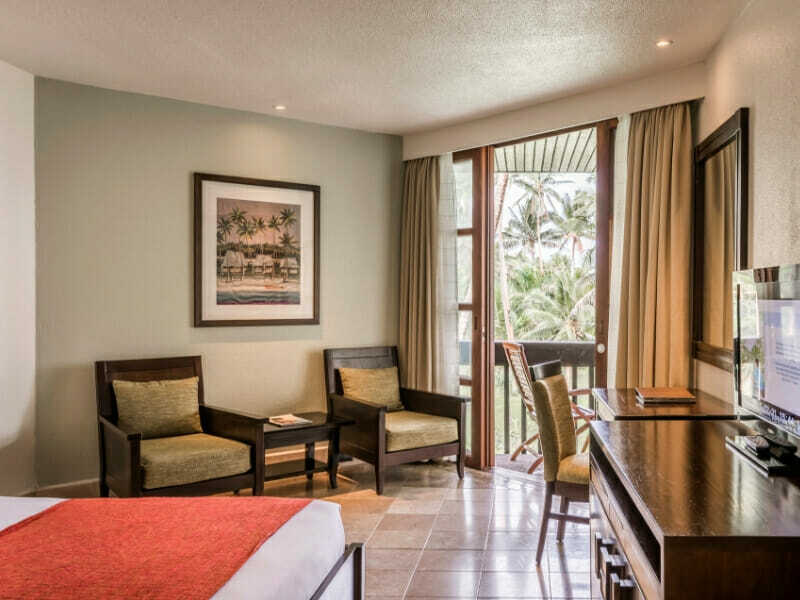 Ocean View Room – UPGRADE from only $200 per person! 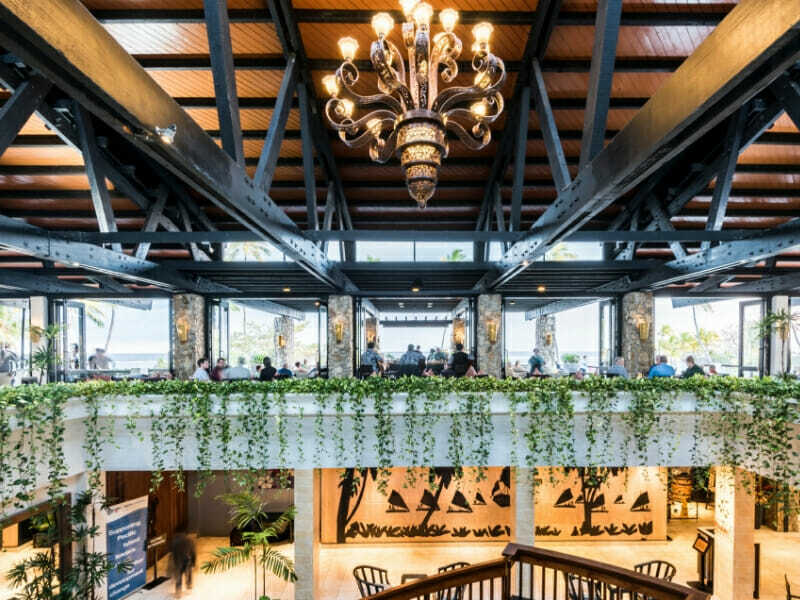 Step inside the 26-square-metre Ocean View Rooms and be welcomed by a calming décor and modern furnishing and amenities. The bedding options, 2 double or 1 queen and 1 single, make for a comfortable stay for up to 3 adults or 2 adults and 2 children. 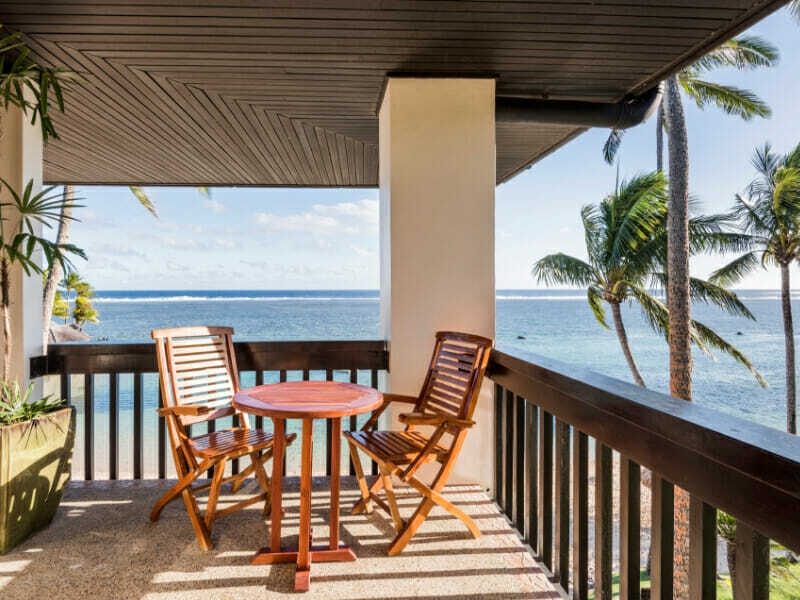 There’s a private balcony/patio outside that boasts stunning views of the ocean while inside features all the standard amenities you would expect from a world-class resort. 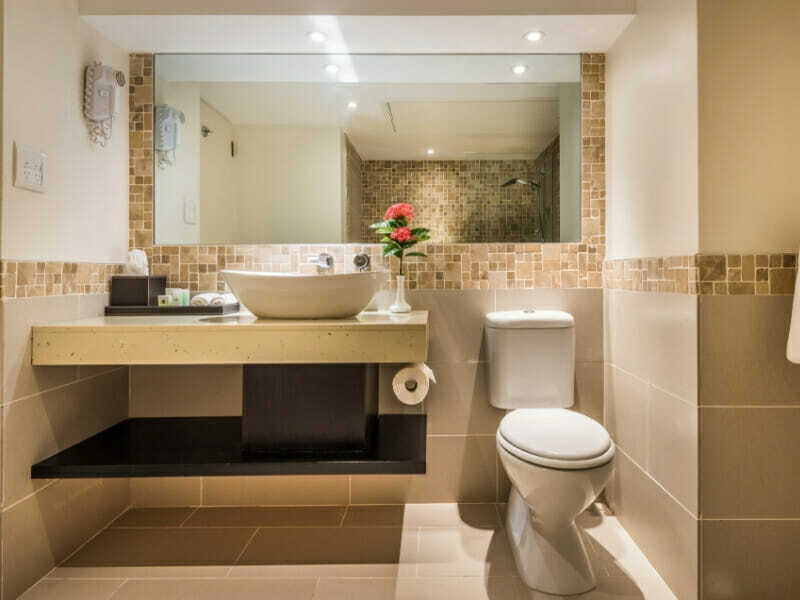 Enjoy air-conditioning, in-room safe, tea/coffee facilities, telephone, bathroom amenities, LCD TV and more! 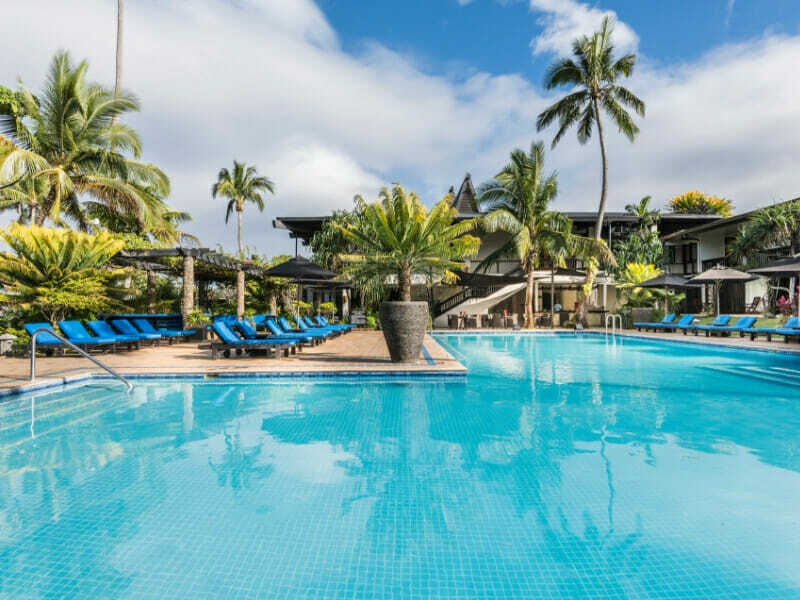 Situated on a spectacular private beach along the Coral Coast, Warwick Fiji offers 5-star accommodation and luxury facilities. 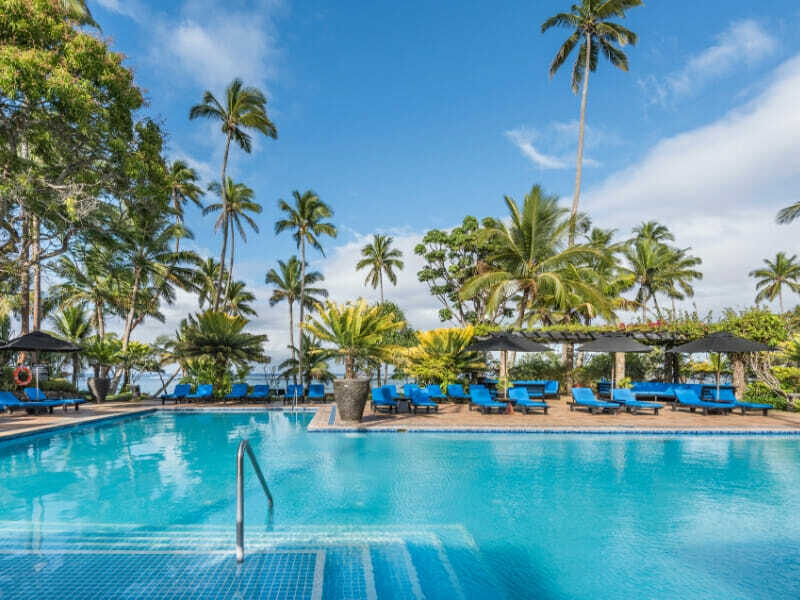 Combining a picturesque shoreline and surrounds of tropical foliage, the award-winning resort offers a variety of activities from kayaking to fishing and snorkelling to provide the ultimate Fiji holiday escape. 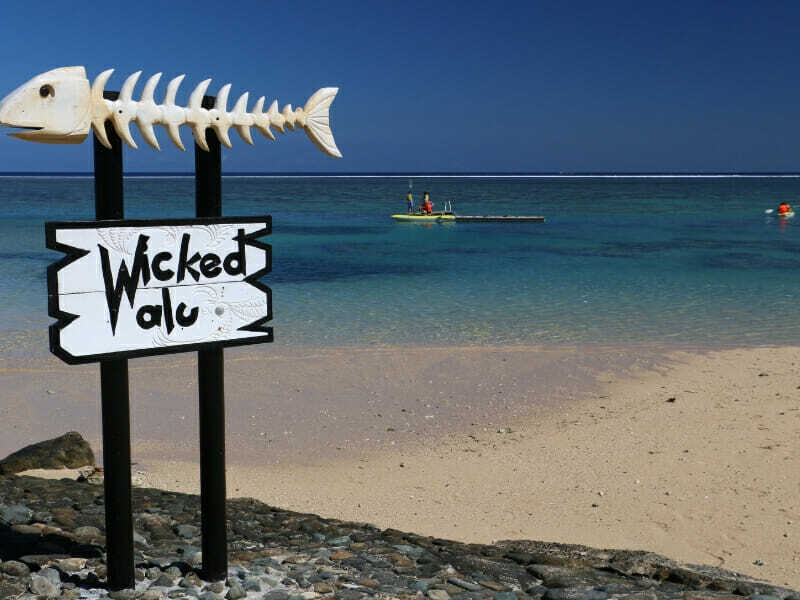 Read more about Warwick Fiji here! #Kids Stay, Play & Eat FREE: Free Kids Club Access for 2 children 3 to 12 years for duration of stay. 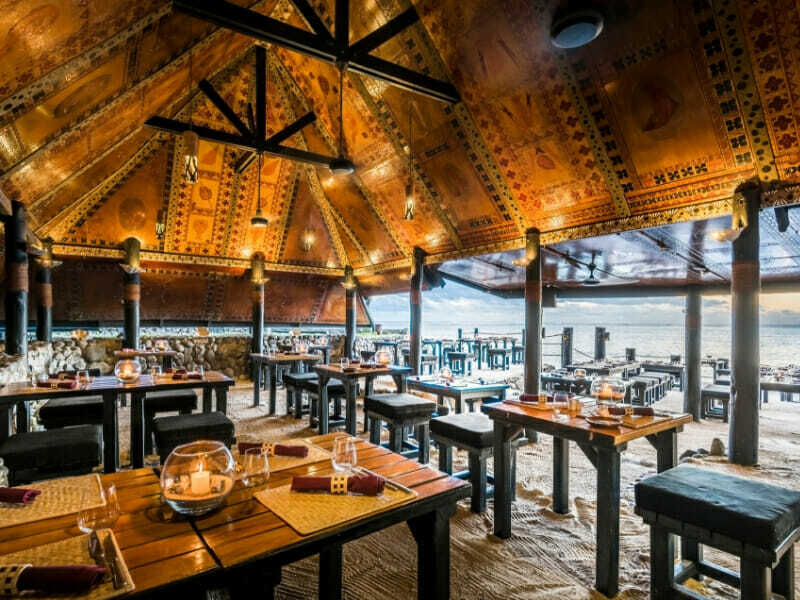 Kids 2-12 years receive free meals at Bula Brasserie for breakfast, lunch & dinner buffets only. Maximum of 2 children 12 years and under per room, stay for free when sharing room with parent(s). 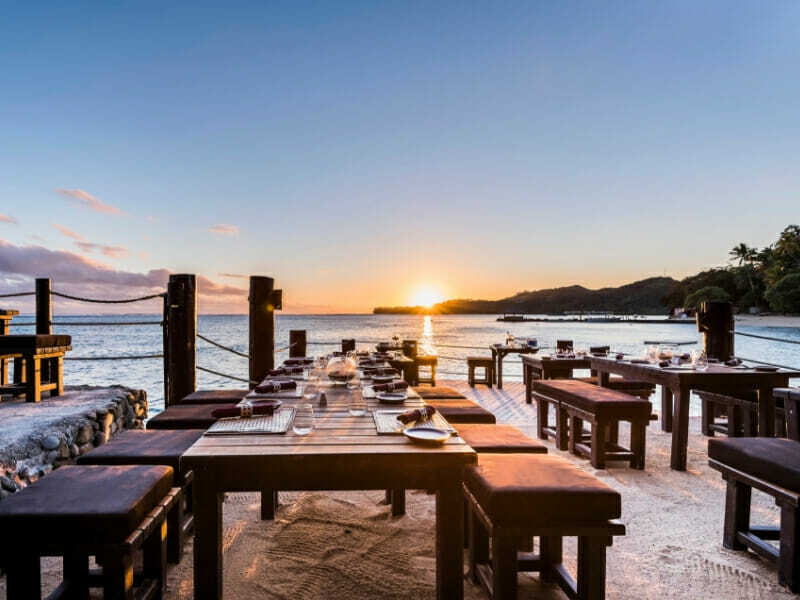 ~FJ$500 Wine, Dine & Spa Credit: This amount is to be credited to the guest’s room account on check-in which can be applied towards all food, beverage and spa treatments at the resort. WDS Credit cannot be applied towards external third party service providers e.g. tours. ***Off-road Cave Safari: Culture waits off the beaten track! Embark on a Fijian adventure down the road less travelled on an Off-Road Cave Safari. Jump in and buckle up in the modern all-terrain vehicle for the journey to the largest cave in Fiji with a stop at the Bete’s (high priest) home. The priest’s family have been the traditional keepers of Naihehe Cave for many centuries and it’s said that if one enters the cave without seeking their blessing first, one will get lost. Your safari guide will present an offer of kava to the priest as a request for his blessing and guidance. Just a short walk away from the family’s home be guided through the historical phenomenon that is Naihehe Cave. Explore the 170m long cave before returning to the priest’s home for a barbecue lunch with fresh fruit and juices. **Sigatoka River Safari: A different type of water adventure! Explore Viti Levu’s longest river on a Sigatoka River Safari! Enjoy the 18-kilometre journey from Sigatoka Town into Sigatoka Valley and discover the luscious green environment known as the ‘salad bowl’. Jump aboard the jet boat and cruise along the freshwater passage, waving to local villagers along the way, before arriving at your host village. Enter the village and be welcomed with open arms and big smiles from the local villagers. Meet the village Chief in his home and partake in a traditional kava ceremony before he guides you through a tour of his village. 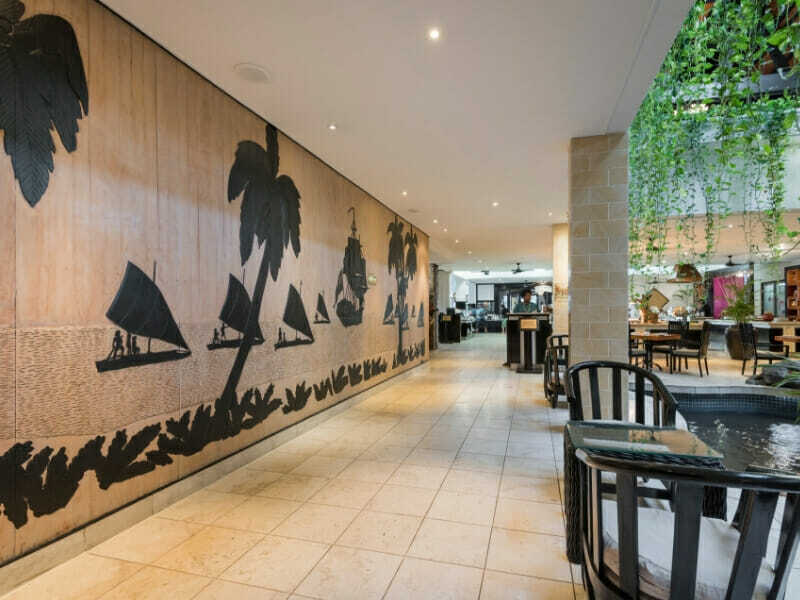 Tantalise your taste buds with a sumptuous tropical Fijian lunch prepared by the women of the village before jumping aboard for the return journey!